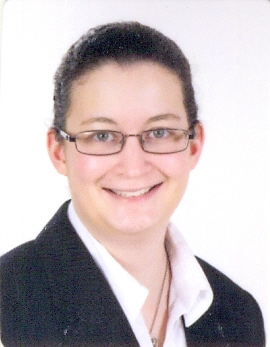 Dr. Simone Schroff is a researcher in copyright law at the Institute for Information Law of the University of Amsterdam. She completed a BA in History and Politics at Keele University and a MA European Governance at Exeter University (distinction). She has since gained a PhD from the University of East Anglia (UK) where she defended her thesis The Evolution of Copyright Policy 1880-2010: A Comparison between Germany, the UK, the US and the International Level. She specialises in the qualitative, quantitative and comparative analysis of copyright law and policy. Her main areas of interest are copyright and related rights in the digital context, the driving forces of copyright development and the framing of copyright policy. Simone Schroff has published parts of her work and was awarded the Outstanding Publication by a Postgraduate Research Student Award from the University of East Anglia Law School for her article titled ‘The (Non) Convergence of Copyright Policy’. Dr. Simone Schroff has previously worked on a project for the RCUK Centre for Copyright and New Business Models in the Creative Economy (CREATe). In this context, she has focused on the regulation of collective management organisations within the EU. She has been an Associated Researcher for the RCUK Centre for Copyright and New Business Models in the Creative Economy (CREATe) since 2013. At IViR, she has worked with Dr. Lucie Guibault on a range of projects relating to digitisation and cultural heritage. 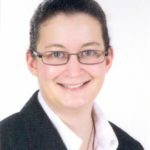 Dr. Simone Schroff is currently a Canon Foundation Fellow, working as a Guest Scholar at Waseda University (Tokyo, Japan). Her research focuses on the selective enforcement of copyright rights, in particular where copyright owners draw the line between infringing behaviour that can be tolerated and those actions which cannot. She is also interested in how this enforcement relates to business models in the contents industries more broadly. Archives across the Netherlands are tasked to make their archives accessible online. However, progress has been slow, not least because it is difficult to determine who owns the rights to make works available online. Focusing on the Dutch public service radio and TV broadcasting sectors, this book addresses this challenge. First, it disentangles the nature of broadcasts by providing guidance on which aspects of a TV or radio broadcast can attract protection and who owns these. Secondly, it empirically establishes that the default ownership rules can only provide an incomplete picture of the rights ownership in the public service broadcasting sector: the ownership is more concentrated than copyright and neighbouring rights law suggests. Who owns the broadcasting archives? shows how different legal scenarios can explain this rights concentration and establishes their likely practical influence on industry practice in the public service broadcasting sector across time. This presentation summarises the methodological innovations and the key empirical results of the NWO-funded 'Images for the Future: from digitization to dissemination, when can we watch?' project. Digital technologies allow unprecedented preservation and sharing of world-wide cultural heritage. Public and private players are increasingly entering the scene with mass digitisation projects that will make this possible. In Europe, legislative action has been taken to allow cultural institutions to include in their online collections copyright works whose owners are either unknown or non-locatable (“orphan works”). However, according to the Orphan Works Directive, cultural institutions must attempt to locate the owner of a work before using it. This is the so-called “diligent search” requirement. This paper provides an empirical analysis of the conditions under which a diligent search can feasibly be carried out. The United Kingdom, the Netherlands, and Italy, all of which have implemented the Orphan Works Directive, have been selected as case studies. For each jurisdiction, this analysis determines what the requirements for a diligent search to locate copyright holders are, what the authoritative sources and databases to be consulted are in practice and, most importantly, to what extent these are freely accessible online. In doing so, our analysis provides insights into the two main issues affecting cultural heritage institutions: (1) how much legal certainty does the implementation provide, and (2) what is the practical burden of a diligent search. The analysis reveals that the jurisdictions have given different meanings to the term “diligent”. While the UK’s extensive guidance makes it unlikely that a search would not be deemed diligent, the search burden is onerous. On the other hand, Italy and especially the Netherlands have a lighter search burden, but in the absence of clear, definite guidance, the likelihood of accidental infringement by failing to meet the diligence standard is greater. In addition, all three jurisdictions have so far failed to take the accessibility of the sources into account, making the searches even more onerous than the numbers suggest at first sight. Therefore, it will be difficult for cultural institutions to clear the rights for their collections while fully complying with the requirements of the legislation. This article concludes that legislative action, official guidelines, or jurisprudence are needed to establish a different legal value of sources for a diligent search, with various degrees of optionality depending on data relevance and accessibility. This paper examines the implications for European music culture of the European Union’s (EU) Digital Single Market strategy. It focuses on the regulatory framework being created for the management of copyright policy, and in particular the role played by collective management organisations (CMOs or collecting societies). One of the many new opportunities created by digitalisation has been the music streaming services. These depend on consumers being able to access music wherever they are, but such a system runs counter to the management of rights on a national basis and through collecting organisations which act as monopolies within their own territories. The result has been ‘geo-blocking’. The EU has attempted to resolve this problem in a variety of ways, most recently in a Directive designed to reform the CMOs. In this paper, we document these various efforts, showing them to be motivated by a deep-seated and persisting belief in the capacity of ‘competition’ to resolve problems that, we argue, actually lie elsewhere – in copyright policy itself. The result is that the EU’s intervention fails to address its core concern and threatens the diversity of European music culture by rewarding those who are already commercially successful. While the three functions of Collective Management Organisations - to licence use, monitor use, and to collect and distribute the revenue - have traditionally been accepted as a progression towards a natural (national) monopoly, digital exploitation of music may no longer lead to such a fate. The European Commission has challenged the traditional structures through reforms that increase the degree of competition. This paper asks whether the reforms have had the desired effect and shows, through qualitative research, that at least regarding the streaming of music, competition has not delivered. Part of the reason for this may be that the services required by the now competing CMOs have changed. This paper explores the role of intermediary institutions in promoting creativity and cultural diversity in the music industry, and the impact of cultural policy on the performance of those intermediaries. It reviews some of the existing literature on the relationship between economic conditions and innovation in music, and argues that too little attention has been paid to intermediaries. Focusing on collective management organisations (CMOs) as one example of overlooked intermediaries, we illustrate, by way of comparison, the different priorities and incentives that drive CMO practice. These variations, we suggest, are important to appreciating how CMOs operate as intermediaries in different territories. We then turn our attention to recent attempts by the EU to reform CMO practice as part of its Digital Single Market project. The fact that the CMO has been an object of reform is indicative of its importance. However, there is more at stake here: the reforms themselves, in seeking to change the role and behaviour of CMOs will, we suggest, have profound consequences for the market in music in Europe, and for creativity and cultural diversity within that market. While the three functions of Collective Management Organisations – to licence use, monitor use, and to collect and distribute the revenue – have traditionally been accepted as leading to a natural (national) monopoly, digital exploitation of music may no longer support such a conclusion. The European Commission has challenged the traditional structures through reforms that increase the degree of competition. This paper asks whether the reforms have had the desired effect and shows, through qualitative research, that at least as regards the streaming of music, competition has not delivered. Part of the reason for this may be that the services required by the now competing CMOs have changed.